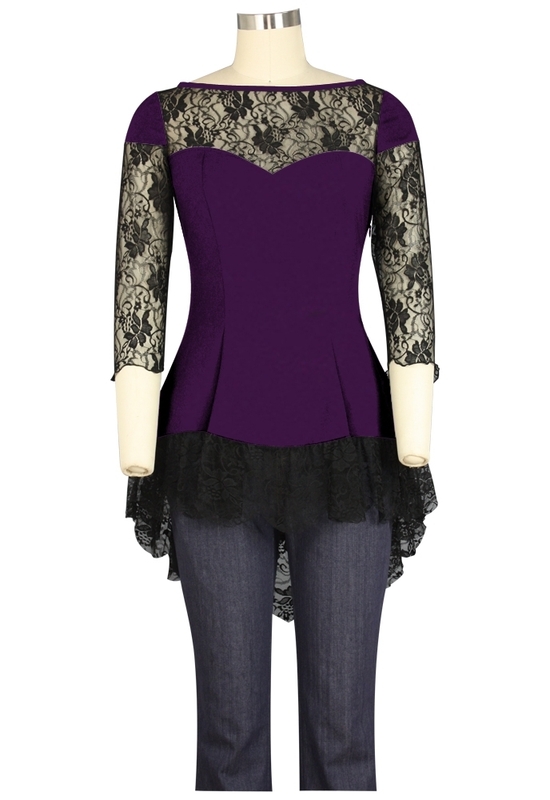 This blouse features the lace. The lace sleeves are hemmed. The lace edging on the blouse is gathered. Side zip. Standard size approx. length:33 inches; Plus size approx. length:37 inches.